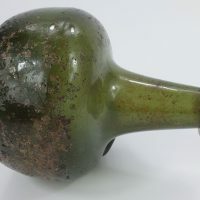 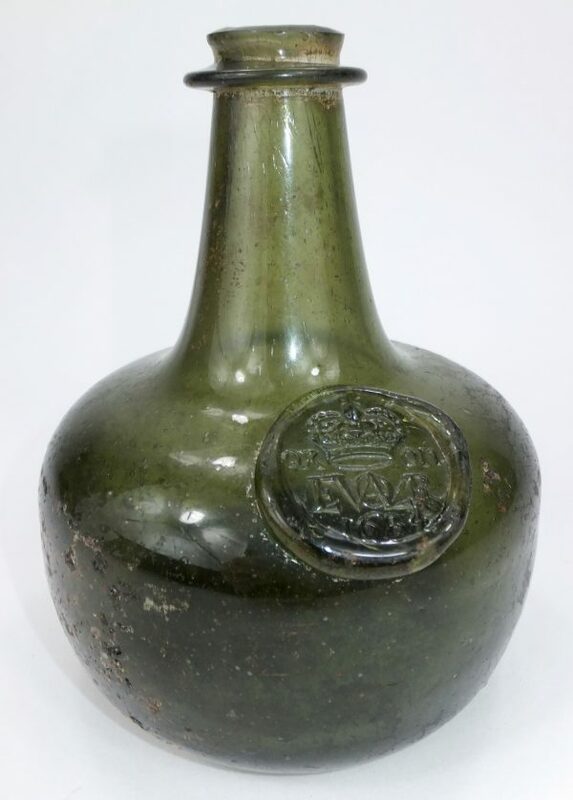 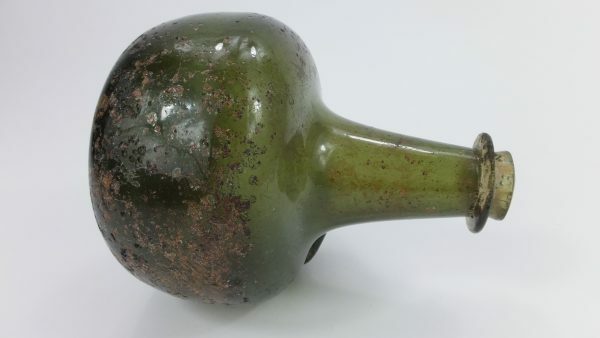 Historically important and extremely rare complete example of a half size Oxford tavern bottle dated 1684. 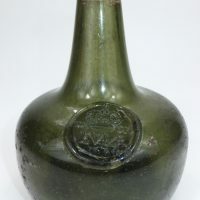 The fully legible seal refers to the cipher of husband and wife team William & Anne Morrell of the Crown Tavern, Oxford. 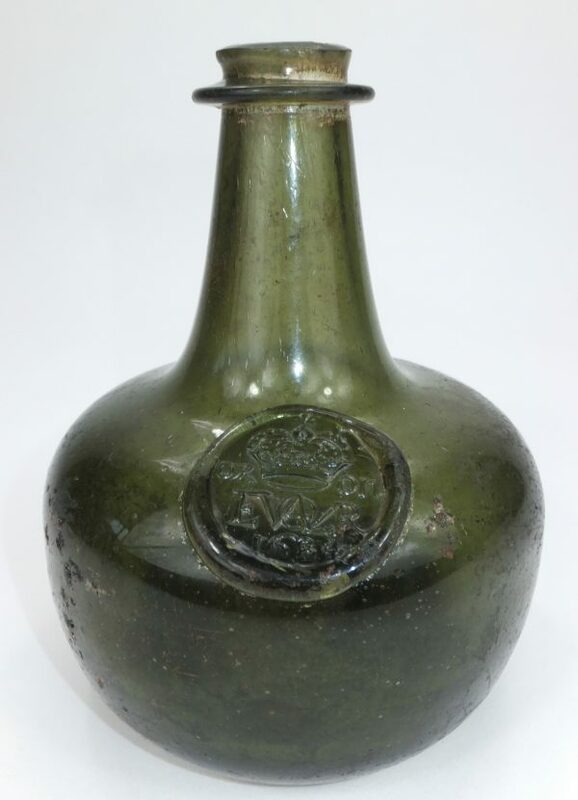 The Crown Tavern existed at 3 Cornmarket, Oxford and was previously known as the Salutation Tavern. 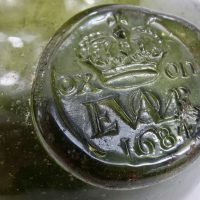 William died in 1679 so the date on the bottle would correspond with Anne being the present landlady until she died in 1696. 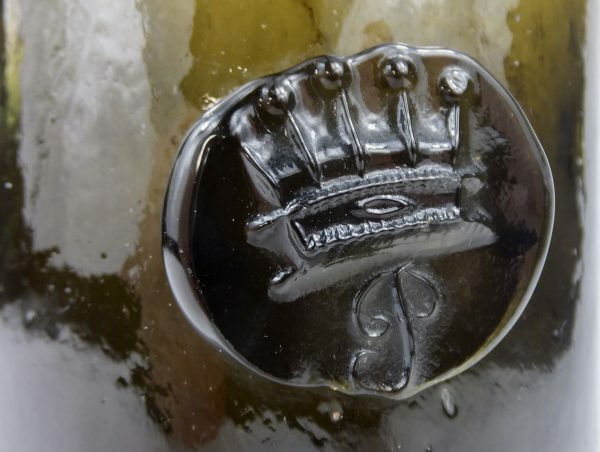 It seems the cipher was carried over for many years and can be found on several fragmentary seals of other dates. 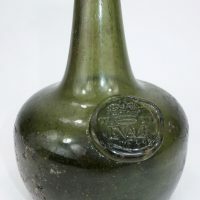 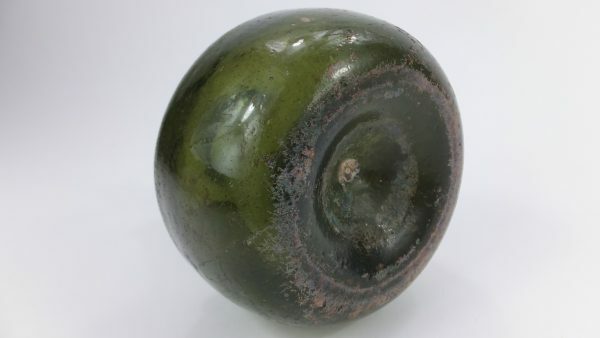 Most known complete examples of dated bottles from this period are in public museums with some of these damaged or cracked. 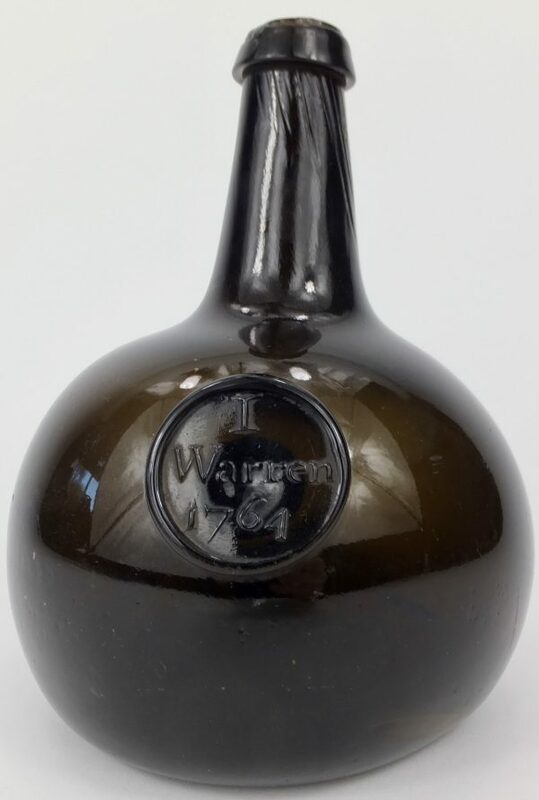 A sealed bottle with this early date has to my knowledge not be offered for sale for over 20 years so this is a once in a lifetime opportunity. 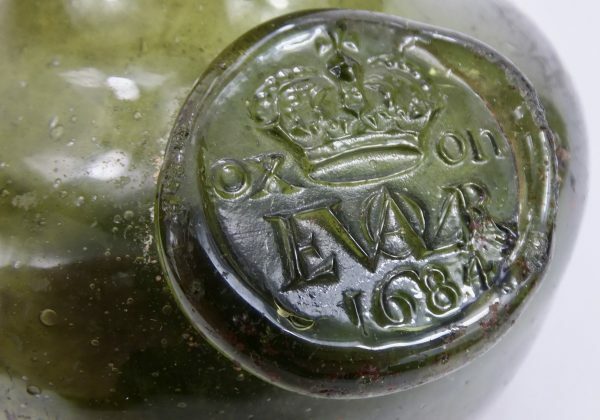 The bottle has some pitting and burial oxidation to one side and a chip to the string rim, no cracks or other damage. 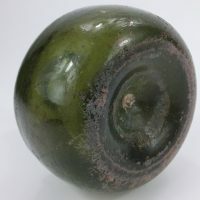 Height 5.5 inches, width 4.5 inches. 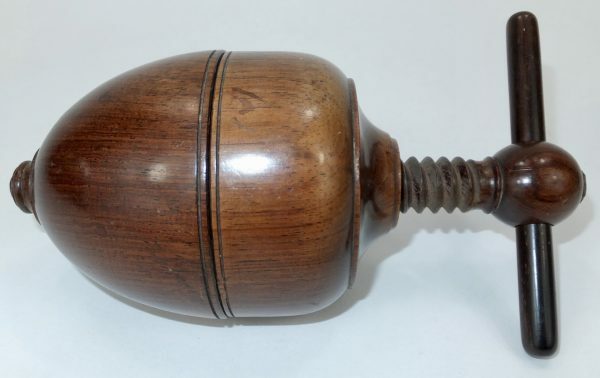 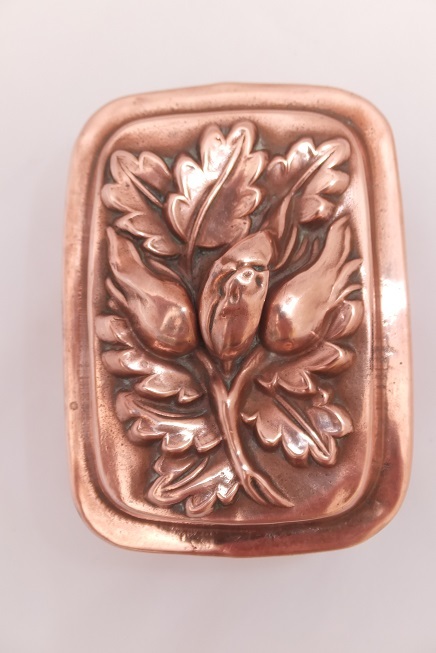 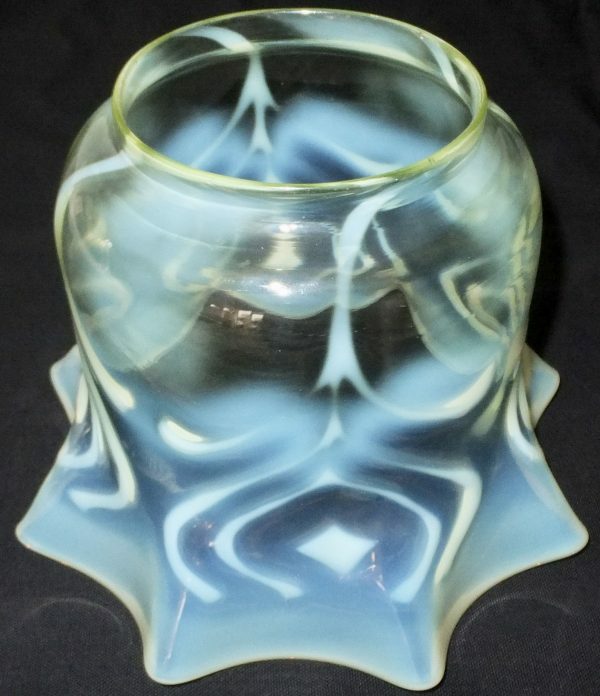 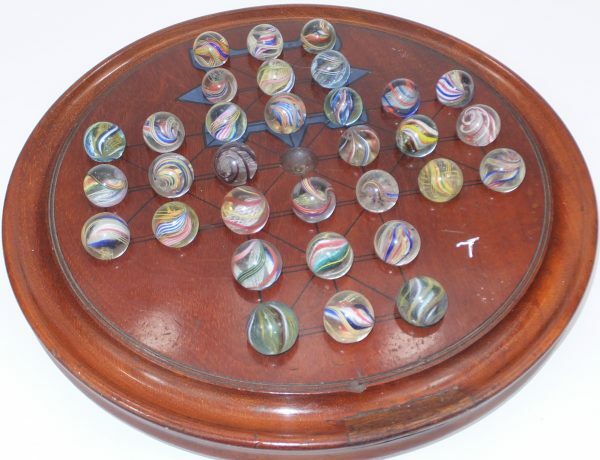 Featured on page 504 of Antique Sealed Bottles.